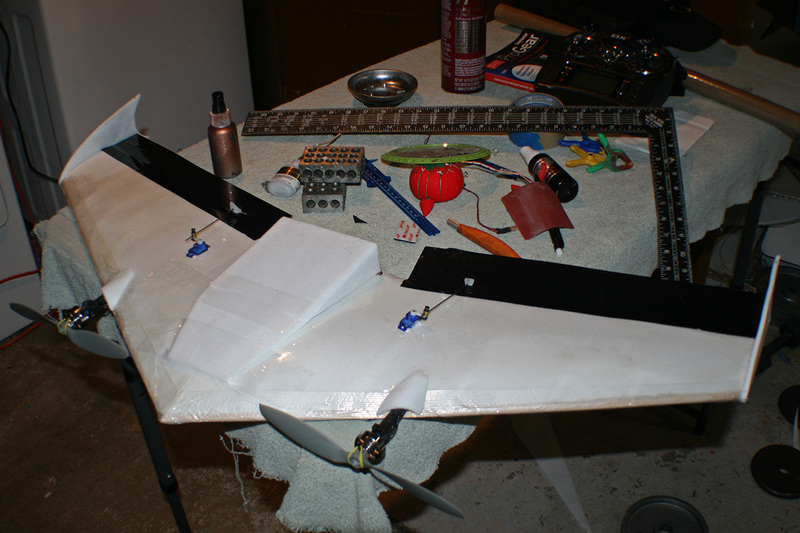 My newest plane – a 60% scale twin tractor version of the Papa Divine – is almost ready to fly. This entry was posted in Flying Wings, R/C Planes, Scratch Built. Bookmark the permalink.